The latest technology is often times associated with tech-savvy youth, but senior citizens can benefit greatly from a range of gadgets, apps and other consumer electronic devices too. In fact, there is a growing market for these kinds of technological advances that can improve the quality of life for older individuals. Many adults are understandably concerned about the wellbeing of their senior parents, but logistics prevent them from checking on their parents every hour to ensure they are still doing fine. A far less invasive option is the system offered by Evermind. The device plugs into a power outlet and acts as a pass-through with its own outlet. 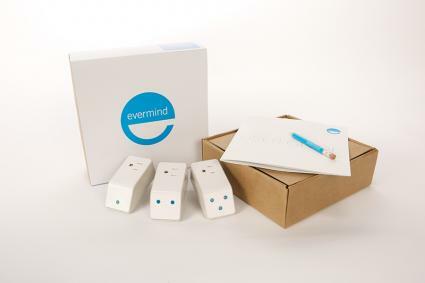 The Evermind then tracks when the connected device turns on or off, serving as a 'check-in' to know everything is okay, even when you cannot stop by or call. Common usage cases may include the coffee machine and the living room television. The Evermind kit itself is $199.00 and monthly service is $29.00 with no long-term contract. Modern smartphones can be overwhelming for older people who aren't as comfortable or familiar with technology. At the same time, cellphones can provide an invaluable lifeline of communication between loved ones. 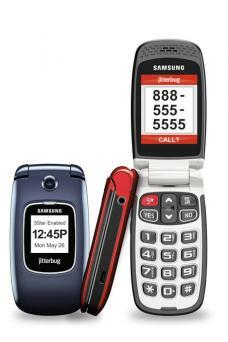 Bridging the gap is the senior-oriented Jitterbug5 mobile phone from GreatCall. It is a simple flip phone with some key usability and safety features. The Jitterbug5 is $99.00 and cellphone plans, including the 5Star Service, start at $14.99/month. Conditions like arthritis and Parkinson's Disease can leave many older individuals with shakier hands. This can result in some difficulty and frustration eating the foods that they love. The Liftware spoon aims to steady those tremors, helping seniors spill less of their food and more easily enjoy their meals. 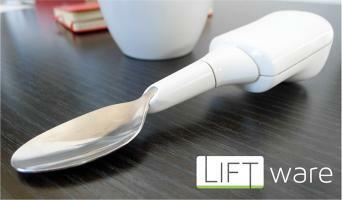 The Liftware Stabilizer with the everyday spoon attachment sells for $295.00. Remembering to take daily medications can be quite the chore, especially when there are multiple doses that are due throughout the day. The pill dispensers from MedMinder offer a more technologically-advanced alternative to standard pill dispensers. They feature a total of 28 compartments for a 7-day period and they are designed to provide up to three stages of patient reminders. The Maya Pill Dispenser from MedMinder is $39.99 per month, while the locking Jon Pill Dispenser is $59.99 per month. Grandparents love nothing more than to look at the latest photos of their beloved grandchildren and other family members. Regular printed photos can be troublesome to send when loved ones are in different parts of the country or world. A simplified digital photo frame is the one offered by Pix-Star. It is a social photo frame that connects to Facebook and Instagram accounts to instantly display the latest pictures. The frame runs about $160 at Amazon. Best known for its famous "I've fallen and I can't get up" TV commercials, Life Alert is one of the most popular senior medical alert systems on the market today. Users simply press on the button in the event of a fall, fire, poisoning, home invasion or other emergency situation. Emergency help can then be dispatched as quickly as possible, 24 hours a day, 7 days a week. Monthly monitoring packages start at $29.95 and range up to $59.95. Initial equipment and installation costs range from $95.00 to $295.00. Heart disease and hypertension are two of the most common concerns among the aging population. It is important to keep track of all those readings in order to maintain the best health possible. A great app for the iPhone is the HeartWise Blood Pressure Tracker by SwEng LLC. The valuable statistics and charts serve as invaluable information for users and health professionals alike. The HeartWise app is $0.99 via the iTunes App Store. Reading the fine print on restaurant menus, ingredient labels and daily newspapers can be challenging for those with vision difficulties. 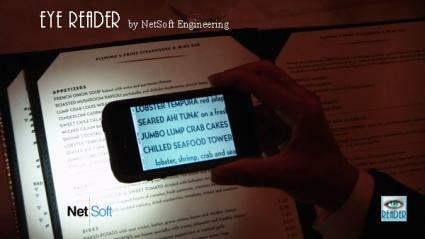 The EyeReader app for iOS makes reading much easier by acting as a digital magnifier. The EyeReader app costs $1.99. Whether the senior is living in their own home, at a full-time nursing home or at an assisted living facility, he or she can benefit greatly by the various products and apps developed for the consumer market. These products can improve quality of life, provide a much-needed sense of safety, and empower the elderly to live more independently.